Dr. Farouc Jaffer of Harvard Medical School and Massachusetts General Hospital will present on his lab’s use of cutting-edge fluorescence molecular imaging technology to develop intravital microscopy, for the purpose of understanding in vivo the molecular mechanisms of atherosclerosis, thrombosis and vascular injury. He will discuss his lab’s partnerships with world-renowned engineering groups to develop translatable intravascular fluorescence molecular imaging approaches, and the recent clinical translation of this technology. Dr. Jaffer performed the first intracoronary human studies at MGH using a novel OCT-fluorescence imaging catheter. He will speak on these studies and include specific examples based on preclinical trials. 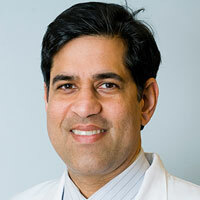 Dr. Jaffer is an associate professor at Harvard Medical School and director of Coronary Intervention and the Chronic Total Occlusion Percutaneous Coronary Intervention Program at Massachusetts General Hospital (MGH). He is a principal investigator in the Cardiovascular Research Center at MGH. He graduated with distinction from Stanford University with a B.S. in mathematical and computational sciences. After earning his M.D. and Ph.D. in biophysics from the University of Pennsylvania, he completed his internal medicine residency at Brigham and Women’s Hospital and a cardiovascular medicine and interventional cardiology fellowship at MGH, Harvard Medical School. Dr. Jaffer’s primary area of research is in developing translational molecular imaging approaches to investigate atherosclerosis inflammation in patients. 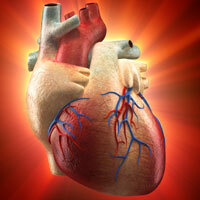 His research is supported by grants from the National Institutes of Health and the American Heart Association. Dr. Jaffer was elected into the American Society for Clinical Investigation in 2013. He is a Fellow of the American College of Cardiology, the American Heart Association, and the Society of Cardiac Angiography and Interventions.